Posted by Editor at 12:34 PM . 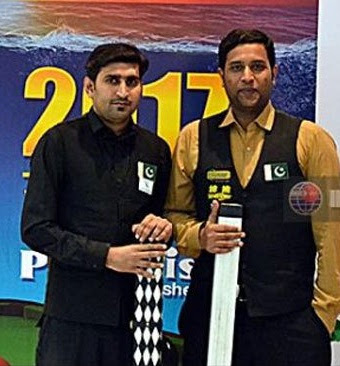 The duo of Babar Masih and Muhammad Asif, by virtue of being the top two cueists of the country in the latest national ranking chart, will be representing Pakistan in the IBSF World Snooker Championship 2018 due to be staged at Yangon, Myanmar, from November 18 to 26. The confirmation was made by Munawwar Hussain Shaikh, President, Pakistan Billiards & Snooker Association (PBSA), during his speech in the prize distribution ceremony of the Jubilee Insurance Ranking Snooker Championship 2018 at the Karachi Gymkhana on September 17. 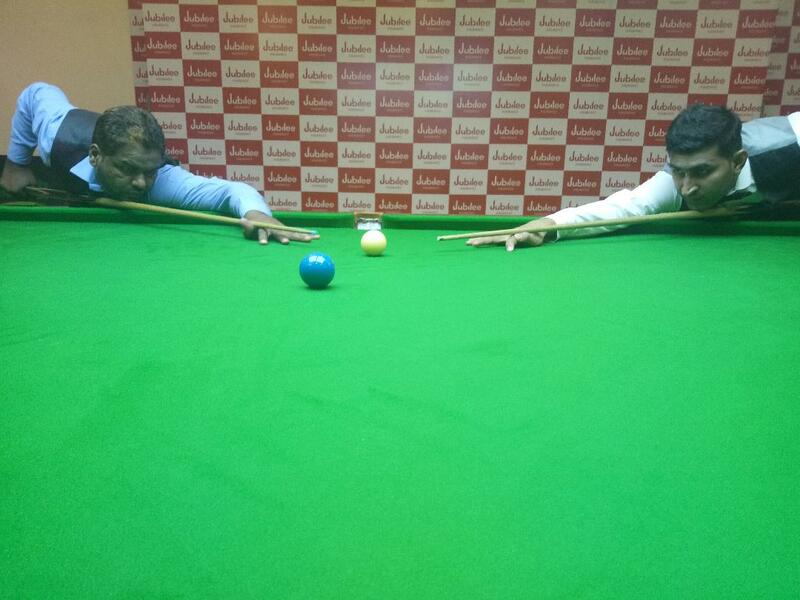 Babar, who also became the top ranked cueist of Pakistan, by winning the Jubilee event, will be making his second appearance in the World Snooker Championship while Asif, only the second Pakistani to have annexed the world crown, gets yet another opportunity to have a crack at the showpiece event. It may be recalled that together Babar and Asif had won Pakistan the IBSF World Team Championship 2017 at Hurghada, Egypt, last year. Playing as Pakistan-2, they had overcome compatriots Pakistan-1, comprising of Asjad Iqbal and Muhammad Sajjad, in the epic all-Pakistan final. Babar and Asif have been the most prolific cueists on Pakistan during the current year in a period where the likes of Sajjad, Asjad and Muhammad Bilal have endured lean patch. Posted by Editor at 12:15 PM . Second seed Babar Masih regained the title by toppling unseeded Asif Toba in the all-Punjab final of the Jubilee Insurance Ranking Snooker Championship 2018 at the Karachi Gymkhana on September 17. 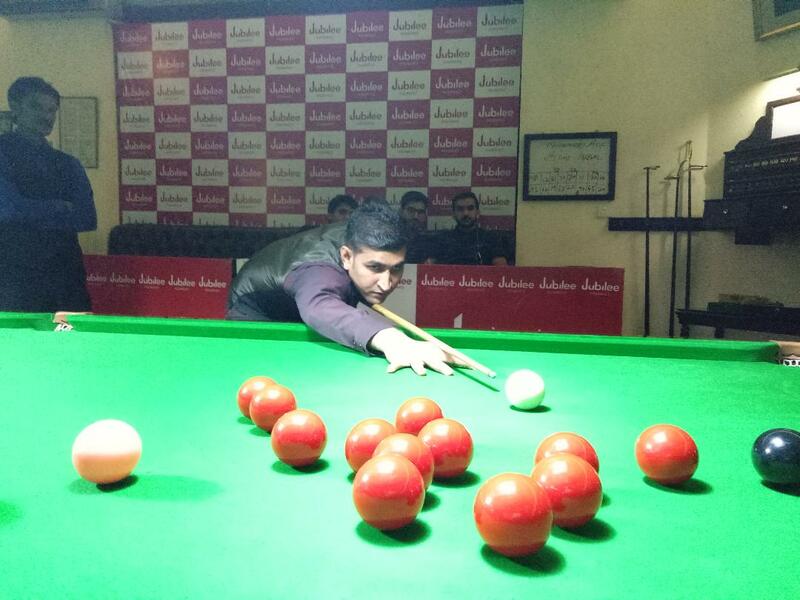 The Rawalpindi-based Babar overpowered Asif, coming from the city of Toba Tek Singh, 8-5 in the best of 15-frame final with the scores being 44-82, 51-69, 63-48, 114-16, 102-19, 65-20, 9-98, 16-60, 111-8, 26-88, 107-27, 62-35, 52-7. Babar extended his awesome form to regain the title he had first annexed in 2016. He remained undefeated in the week-long event, contested by 24 top cueists of the country. He notched up a couple of century breaks and missed one narrowly in the final which demonstrated him being on top of his game. It was Toba, however, who drew the first blood in the final. In fact he managed to double his lead with an impressive break of 63 in the second frame. Unperturbed at being 0-2 down, Babar entered the third frame in the typically calm manner of his and won it after a close fight. He bamboozled his opponent with a sizzling break of 100 in the fourth frame which restored parity in the game. Another cracking break of 91 in the very next frame saw him go 3-2 up. Toba was unable to come to terms with the rampaging Babar in the sixth frame either but delivered the goods in the next couple of frame to reduce the deficit to just frame. Once again Babar retaliated with a big break of 111 which put him back to two-frame lead. Toba refused to give up, chalking up a fluent break of 73 to keep the contest alive. But Babar was not frightened and he didn’t let his rival come close again. Starting with a break of 86 in the 11th frame, he also pocketed the next two frames to seal the fate of the match. The mercurial Babar, who looked a picture of confidence all along, had emerged triumphant in all those matches of his which went to full distance. He wasn’t stretched that much in the final though. Earlier Babar had staged a magnificent comeback to overcome holder Muhammad Asif 6-5 in the all-Punjab semifinal with the frame scores of 55-14, 27-73, 57-61, 8-75, 1-70, 24-76, 59-47, 65-45, 88-31, 80-14, 74-1 while Toba, from Punjab, knocked over Sharjeel of Khyber Pakhtunkhwa 43-57, 61-54, 87-13, 28-90, 26-60, 46-66, 80-0, 57-14, 77-49. Babar became richer by Rs one lac as he collected the winner’s trophy alongwith the six-digit purse from Tahir Ahmed, Managing Director, Jubilee General Insurance, who was the chief guest in the prize distribution ceremony which was also telecast live. Runner-up Toba received a sum of Rs forty thousand with the runner-up trophy while the losing semifinalists, Muhammad Asif and Sharjeel Mahmood, got Rs 20,000 each and Muhammad Majid Ali was awarded a cash prize of Rs 5,000 for registering the highest break (118) of the championship. Tahir Ahmed, representing the sponsors, expressed the delight at the rising standard of snooker in the country and he hoped that greater efforts will be made in future to attract the teenagers as well as the women to cue sports. The top officials of the Pakistan Billiards & Snooker Association (PBSA), Munawwar Hussain and Alamgir Anwar Shaikh, and the President of Karachi Gymkhana, Akbar Iqbal Puri, also spoke on the occasion.